The tricycles in this section may be pedalled or powered by a battery driven motor. Most have a switch so that your child can choose either the manual or assisted propulsion. 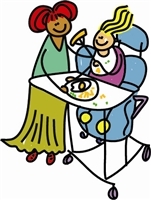 They include supportive features such as backrests, calf supports, trunk and head supports and pelvic belts. Power-assist can help children with limited power to keep up with friends and family on rides or just to extend the distance they can cycle. 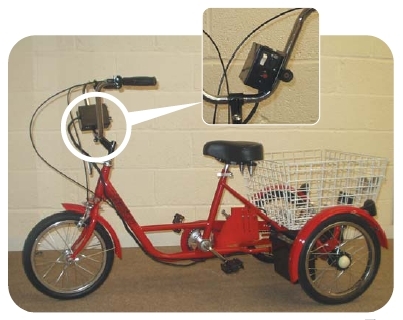 The distance that the tricycle can travel will depend on whether the motor is used continually or intermittently and the type of ground negotiated.